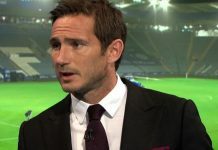 Frank Lampard has given his thoughts on how Chelsea should line up in their crucial Champions League tie against FC Barcelona (via Evening Standard). Wednesday is a huge night for Antonio Conte and Chelsea. The Blues travel to Camp Nou to take on FC Barcelona knowing that they need to score at least one goal in order to progress in the Champions League. Antonio Conte started without a recognised striker in the first leg and now, Chelsea legend Frank Lampard has had his say on how The Blues should line up. “I would certainly consider picking Morata to lead the line with Eden Hazard and Willian behind,” Lampard wrote in his Evening Standard column. “What Morata can also provide is a target for Chelsea players to aim at and someone who can run in behind. He can do that job more naturally than Hazard, who without the responsibility of playing up front can get more involved in the game himself. Chelsea fans certainly wouldn’t mind another Fernando Torres at the Camp Nou moment on Wednesday evening. Alvaro Morata hasn’t been in the best form of his career in recent weeks but perhaps this is a good opportunity for him to change that. 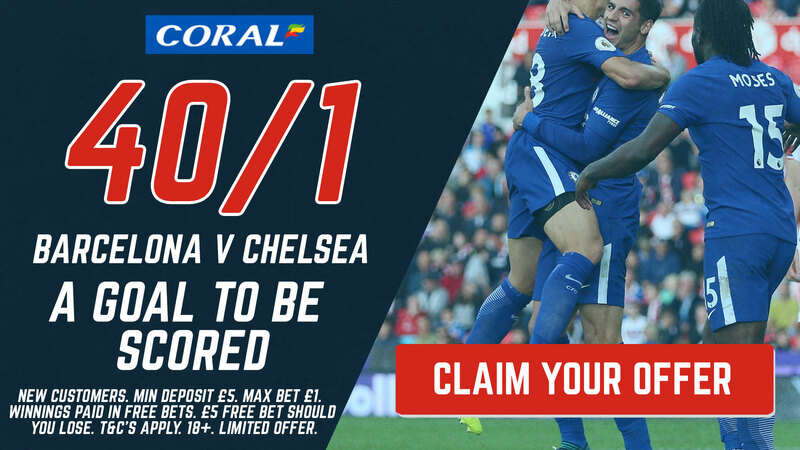 With Chelsea in-action tonight in the Champions League away to Barcelona find free tips and predictions here for this all-important clash at the Nou Camp.